Scarf is an indispensable fashion accessory. 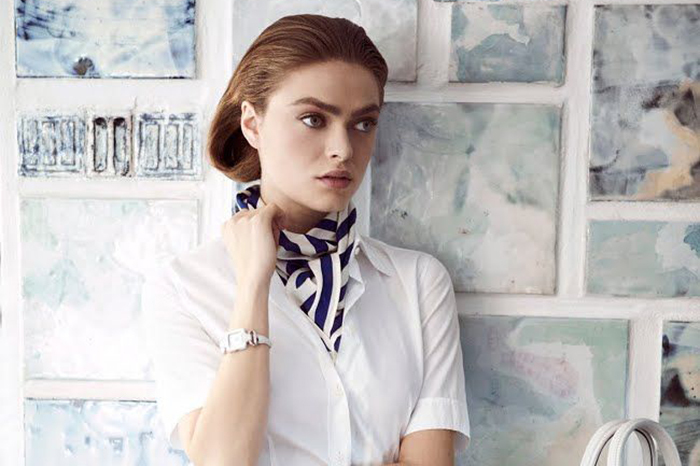 Every fashionista from Olivia Palermo to Mira Duma and Leandra Medine of Man Repeller knows the power of a scarf. In case you are still not a PRO in this topic and haven't gone for tying a scarf as a sort of replacement for bracelets, belts, tops and so on, I'm here kind of referring it all to my favorite scarf thing girl Leandra Medine, then go for the basic four options listed below. Bet you'll like it! How many ways to tie a scarf around your neck are there? Million! Our favorite fashion girls keep proving it from day to day basis. And you don't necessarily need to tie it, if it's long enough then leave it free and instead of tying around the neck simply belt it up. Easy peasy yet awfully elegant! Just like with tying scarf around neck, there are lots of options on how to tie a scarf on head. Moreover, a scarf can equally hide your undone hairstyle or become a part of it. Retro chic, Eastern or Southern style, hippie way - these are just few coolest options how you can your your favorite headscarf this summer. Tying a scarf on a bag is a tricky one. It should complement both your bag and your overall look. Still a contrast brought by it can easily become an interesting twist within your outfit. So, ladies, take out your collection of bags and scarves and go for a mix and match thing. Well, this option will go really cool on cloudy, windy and quite cold summer days. You simply use a long and wide scarf instead of cardigan, jacket or whatever. Use it as a sort of a light, or maybe a bit heavy if the fabric is thick, wrap. A proper Summer-y look guaranteed!